Discussion What to stamp on bumpers? What to stamp on bumpers? on my np2 pro plat!!!! I have an arly newport 2, i have removed the paint but want to add some stamping to the bumpers, any ideas what to stamp,(dont really want to put name on them), possibly the weight if anybody knows. 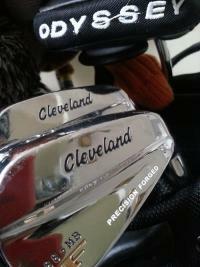 What have the tour pp got on them, anybody got any pics of there tour pro plats, many thanks. Here's a search done on stamping in the clubmakers forums. So are you planning on stamping it like a tour cameron? I believe it depends on the tour cameron. Scotty uses a bunch of different sizing of stamps. When he vertical I have to think it would be a 1/16 stamp i believe... I have a set of those and they weren't easy to come by when I bought them... but those are fun to play with. Very small! Good luck with the stamping and be sure to get a good crack on the first one... that way if it slips off you have the grooves to stamp again! best to put it in a vise too! Good luck and have fun, but don't get too crazy on stamping... sometimes you can ruin a putter with it and it isn't as easy to remove as to put on! Just a quick comment/question......are you trying to make it look like a tour cameron to add value to it? An idea....add 330G to the bumper to distinguish the weight, and maybe you're own initials, but I wouldn't try to copy what another tour cameron looks like. It sounds too much like you're going to try to pass your putter off as tour to make some money. best bet... get some soft metal, and stamp it.. and have fun! you will come up with something and get used to stamping! all i want to do is to customise my putter from all the other standard putters, i putt great with it and will not be selling it, anyway a few stamps will not make my very retail looking putter look tour, i just think it looks bland compared to tour stamped putters, if i wanted a tour putter then i would just buy one! Does anybody know what size tigers stamping are??????? I think if you are customizing then you should be asking for creative input other than 'what do tour Camerons look like?' Go to Scotty's site and browse the Tour putters for some ideas.